The Australian Nursing and Midwifery Federation (ANMF) has been part of a Nursing and Midwifery Telehealth Consortia with the Australian Practice Nurses Association, the Australian College of Midwives, the Australian College of Nurse Practitioners and CRANAplus. Funded by the Department of Health and Ageing the Consortia was charged with providing Telehealth education and support specifically for nurses and midwives. The ANMF has taken carriage of the development of Telehealth Standards and Guidelines for Nursing and Midwifery on behalf of the Consortia. Since the project commenced in June last year, the ANMF has convened and managed a Standards Advisory Group, known as the TeleSAG, which has advised on the development of the standards and guidelines. The purpose of these documents is to assist nurses, nurse practitioners and midwives in the provision of health services via Telehealth technology. The Standards have been developed as separate entities (Telehealth Standards: Registered Nurses and the Telehealth Standards: Registered Midwives) as they are underpinned by two national documents, namely: the National Competency Standards for the Registered Nurse, and the National Competency Standards for the Registered Midwife, both adopted by the Nursing and Midwifery Board of Australia, in 2010. The Telehealth Standards include ‘special considerations for practice’, and apply to Telehealth in its broadest sense. The Telehealth Standards: Registered Nurses relate only to Registered nurses as they are framed against the existing competency standards for Registered nurses. At this point the National Competency Standards for the Enrolled Nurse are under review and not due for completion until 2014. Subject to the outcomes of that review, Telehealth Standards for the Enrolled nurse may require development. In contrast to the Telehealth Standards which can be applied more broadly, the Guidelines are specifically written for nurses and midwives engaging in Telehealth on-line video consultations as part of the Commonwealth Government Telehealth Initiative (see www.mbsonline.gov.au/telehealth). Many thanks to the Telehealth Standards and Guidelines Group (TeleSAG), listed below, for their significant contribution to the development of the standards and guidelines documents. The ANMF would also like to acknowledge and thank the many nurses and midwives who gave freely of their time with the on-line survey; participating in interviews; and reading and critiquing drafts of the standards and guidelines documents; and the ANMF Design Team. Acknowledgement should be given too, to the College of Registered Nurses of Nova Scotia, Canada, and the Australian College of Rural and Remote Medicine, for the use of existing standards developed by these organisations. 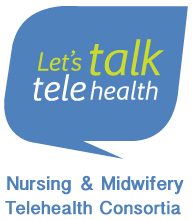 To support nurses and midwives in the Commonwealth Government Telehealth Initiative, a Telehealth Online Learning Program is available free of charge on the ANF website. There are many other resources in the online learning package that can be printed and adapted for use in a variety of practice settings. These resources include a range of downloadable checklists, templates of running sheets, letters, emails and etiquette considerations. In addition, trouble-shooting tip sheets on co-ordinating Telehealth services and practical solutions to technical issues, are available. An instructional video provides detailed information on conducting Telehealth on-line video consultations. Throughout the on-line learning package there are links to many useful and relevant resources and websites. Upon completion of the modules there is an evaluation of the course, to enable further development of the program to meet the needs of participants. The Australian Nursing and Midwifery Federation was part of a Nursing and Midwifery Telehealth Consortia along with the Australian Practice Nurses Association, the Australian College of Midwives, the Australian College of Nurse Practitioners and CRANAplus. The consortia responded to a Commonwealth Invitation to Apply and were successful in receiving funding under the Telehealth Support Component to undertake the Telehealth Nursing and Midwifery: Education and Support Project (the Project) commencing in July 2011. The Project aimed to provide more equitable access to specialist services for patients in regional, rural, remote and outer metropolitan areas by enabling nurses and midwives to facilitate and contribute effectively to safe, high quality Telehealth consultations. Nurses and midwives together form the largest health professional group in Australia, providing health care to people throughout their lifespan, and across all geographical areas in Australia. Nurses may often be the only health care professional in remote areas. The Project aligned with all four of the Commonwealth Telehealth Support Component objectives to deliver a comprehensive set of activities designed to significantly enhance the confidence and skills of this critical health professional workforce in supporting Telehealth service delivery. IV. Develop communications and awareness raising activities. The Telehealth Standards and Guidelines Project was completed in May 2013.